Yesterday, I was an author. Today, I am an indie author. It’s a new chapter in my writing career, and one that comes as quite a surprise. 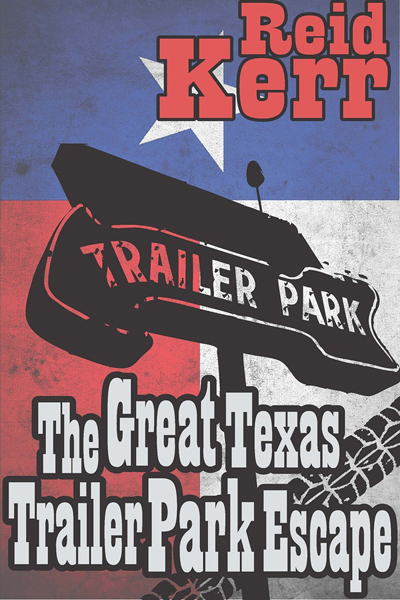 Last week, I got an email from Dave at Biting Dog Press, who published “The Great Texas Trailer Park Escape” (and also “Fresh Blood and Old Bones”) telling me they’re discontinuing their e-book department. That means my book isn’t for sale anymore. First off, I’d really like to thank Dave and everyone else who’s been a part of BDP. “Trailer Park Escape” never would have happened without Dave, who after reading my Shade story in “Fresh Blood and Old Bones” asked me if I had anything else with a “wise-cracking protagonist.” Luckily for both of us, that’s pretty much all I ever have. Dave and BDP have been great to work with, I’ve really learned a lot over the past two years. There were some great writers under that banner, and some really good people, too. No regrets at all, and I wish them the best. But for now, that leaves me without a publishing home for my first book. 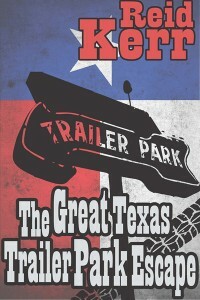 If you’ve got a copy of “Trailer Park Escape,” thank you very much for buying it, and hang on to it. It appears you now have a rare e-book, if such a thing actually exists. It’ll be back for sale soon (hopefully). I’m going to explore self-publishing, which is actually something I had in mind for a couple of projects anyway. This just moves up my timeline, I suppose. It’s just a brief setback, but I’ll admit it’s certainly an odd feeling to be published on Sunday, and homeless on Monday. There’s a good bit of “starting over” to deal with, even though the book was for sale for almost two years. So now while I’m working on my regular gigs, two more audiobooks, and rewrites for the new book (“Goodbye Joinerville,” a chick lit road trip), I’ve also got to do some investigating on independent publishing. I’m probably going to add a couple of things to it I originally trimmed up, and add another short story or two from Jennings County. Might as well make it a good value while I’m back in the old neighborhood. For now, I appreciate everyone who has supported me in the last couple of years, whether it’s been through Amazon, my sports/humor columns with the Tyler Morning Telegraph and Project Shanks.com, or just “liking” and forwarding my stuff on Facebook and Twitter. Thank you so much for encouraging my behavior, and there’s more coming up soon, I promise. And by the way, for more on what it’s like to be an aspiring writer, check out my new feature here on Reid About It.com, “The Rejection Chronicles.” It’s a little example of the kinds of things you have to do to stay sane in an industry geared around a lower acceptance rate than Ashley Madison.com. — Reid Kerr is getting back to work, at a lot of things. This entry was posted on Tuesday, October 6th, 2015 at 3:15 pm	and is filed under Popular, The Rejection Chronicles, Writing. The entry is tagged under #iamwriting, humor, i Am Writing, literary agents, publishing, Reid Kerr, rejection, sarcasm, writing, writing tips. You can follow any responses to this entry through the RSS 2.0 feed. You can skip to the end and leave a response. Pinging is currently not allowed.